Manchester United are in for a period of transition, whether the fans like it or not. While many may argue that the club regardless has been in a six-year-long transition period since the sacking of Sir Alex Ferguson, the summer that awaits them will bring a host of changes. The most pressing need that the higher-ups at Old Trafford need to address is the hiring of a full-time gaffer. While bringing in Ole Gunnar Solskjaer as the caretaker manager was expected to be a token appointment until bigger action was taken, the runaway success of his tactics and the popularity he enjoys with the fans has made that choice all the tougher. 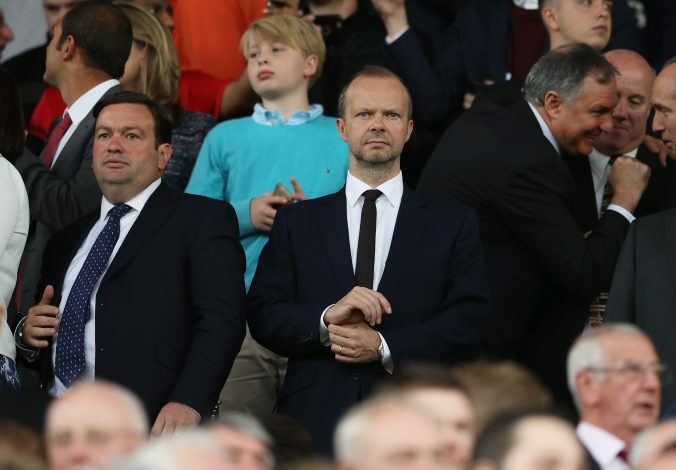 However, before they decide on any managerial appointments, United will seek to make a massive change to the club hierarchy first. As per the Independent, United are eager to appoint a director of football before they decide on the full-time gaffer. By following this pattern of hierarchy, the club wants to ensure that the mistakes made under Jose Mourinho aren’t repeated, and a more cohesive process will run the football side of things. As of now, the oft-speculated options of Fabio Paratici and Paul Mitchell are thought to be well beyond their reach. However, in a claim that United fans will be happy to entertain, club legend Edwin Van der Sar, who is currently the CEO of Ajax, is believed to be in the running for the spot. This would open up the possibility of a Van der Sar-Solskjaer duo running the club – a move that would all but ensure that the Manchester United DNA won’t be lost. Of course, it is important to see if Solskjaer, if appointed, will be welcome to the idea of a director of football, as this very notion was allegedly one of the many sticking points between Jose Mourinho and the club. Then again, with his flawless results so far, driven primarily from attacking football, Solskjaer has already shown himself to be a very different man from Mourinho, and could differ on this point too.